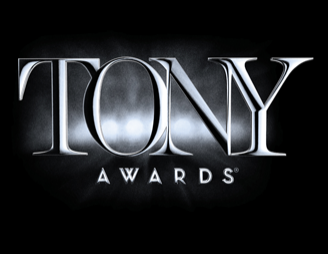 The American Theatre Wing and Broadway League present the 67th Antoinette Perry Awards – also known as the Tony Awards – tonight. They will be aired on CBS (THV11 in Central Arkansas) at 7pm CDT. There are a few Arkansas connections to this year’s nominees of the best of Broadway. Arkansas natives and previous Tony winners Will Trice and Remmel T. Dickinson are each nominated again this year for producing. Trice is one of the producers of Who’s Afraid of Virginia Woolf?, nominated for Best Revival of a Play. Dickinson is a producer of Best Musical nominee Matilda. Both of those productions received multiple Tony nominations. Tony winner Roger Horchow of Texas was married for nearly 50 years to Little Rock native Carolyn Pfeifer, until her 2009 death. Horchow and his daughter Sally are both nominated for producing the revival of Annie which is currently pleasing crowds on Broadway. Japhy Weideman is nominated for Best Lighting Design of a Play for his work on the new play The Nance. This is his first Tony nomination and his first season to be lighting plays on Broadway. He has previously received acclaim for his work Off Broadway. Weideman has been a lighting designer at the Arkansas Repertory Theatre in the past. One final nominee with an Arkansas connection. A couple of years ago, the Clinton School of Public Service brought actor Holland Taylor to Little Rock to discuss her play Ann about Texas Gov. Ann Richards. At that point in time, Ms. Taylor was performing the play throughout the country, but she did not know if it would be performed in New York. It made it to Broadway this season, and she received a Tony nomination for Actress in a Play for her work. Whether these nominees win or lose tonight, it is a testament to Little Rock’s cultural richness that there are several nominees this year with connections to The Rock.